Microsoft has finally released Windows 10 for the users. Existing Windows 7 or Windows 8 users can upgrade to windows 10 for Free. Windows 10 comes with a lot of features and options due to which it might become slow on few machines. If for some reason your Windows 10 copy is running slow on the machine you should definitely try some speed-boosting tricks available for Windows 10 to make it faster and better. In this article, we are going to tell you about 3 Tricks to Make Your Windows 10 Copy Run Faster. Hit Win+R on your keyboard, type sysdm.cpl in that dialog box and hit Enter. This will launch the System Properties window before you. In this window click on Advanced tab. Under Advanced tab there will be settings buttons for 3 different groups. Click on the first settings button under Performance group. Now uncheck all the checkboxes highlighted by the yellow color in the screenshot given below and hit OK button to save your changes. Once you save these changes, actions associated with them will execute almost instantly without waiting for the completion of that eye-candy animation. 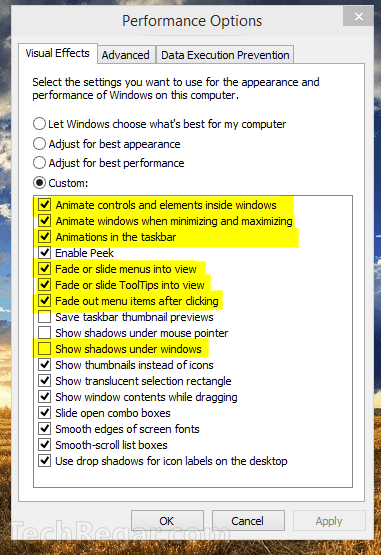 Disabling these Animations, graphics and shadows will make windows 10 slightly faster. This service is for computers that’re part of a network, which is found mainly in organizations or colleges. If your computer isn’t part of any network, which is true for most PC users, then you can disable it to make your system run faster. This service is used if you’ve a printer. If you don’t have any printer, don’t give it a damn! Just like first service in our list, if your computer isn’t part of any network then these service are of no use to you. This function allows any user to remotely modify your computer’s Windows Registry – only if that person has a user account with Administrator rights! Why would you give them to someone else? So why not disable this service permanently? Hit Win+R on your keyboard, type compmgmt.msc and hit Enter. A Computer Management window will open up now. 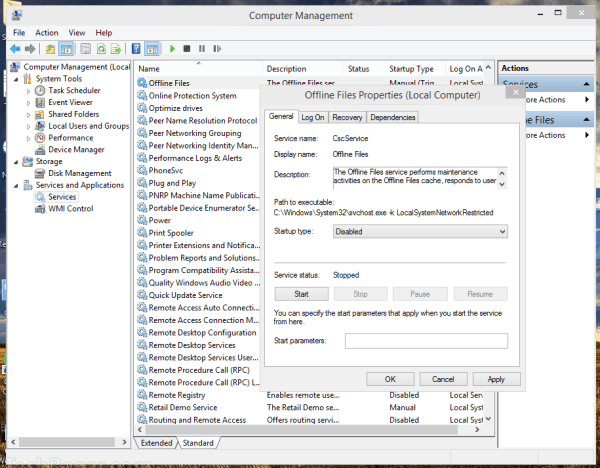 In the hierarchy given on left side of this window click on Service and Applications link to expand it, and then click on Services. This will show you a list of all the services that’re running. Right-click on every service that you don’t want to be running and click on Stop. Now if you want to disable that service permanently, right-click it once again, click on Properties and select “Disabled” from Startup type menu. That’s it for useless Services! Press Ctrl+Shift+Esc on your keyboard, which will launch the Task Manager. 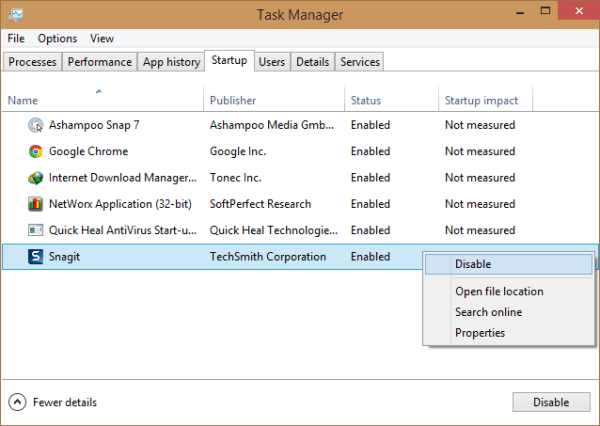 In this Task Manager click on the Startup tab. Now you can disable every startup program that doesn’t seem important to you. If you are still struggling with a slow Windows 10 machine we recommend you to uninstall any useless programs present on your system and run a full virus scan on the system to find & delete any harmful programs or files.